The Sisters of SS. Cyril and Methodius Slovak Girls' Academy is located in Danville, Pennsylvania, and was designed by the firm of Henry Dagit and Sons, Architects. The academy is presently closed but the convent remains. 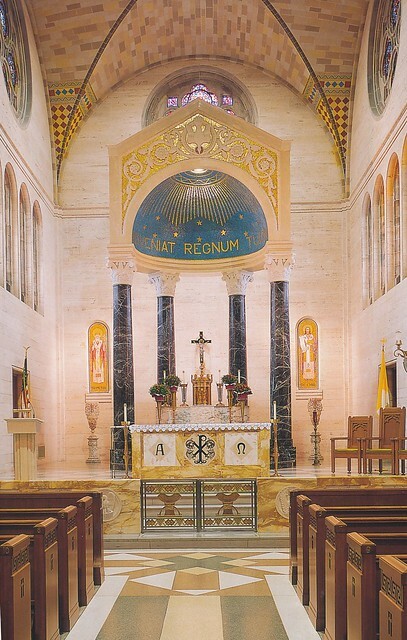 It was published in Liturgical Arts Quarterly in October 1940, and is distinguished by a handsome baldachin-like altarpiece, a travertine-faced chapel interior, and a lofty tower over the building entrance. A view of the chapel can be seen below.